Why Spend your vacation in a tiny hotel room or condo? Stay in this spacious 2,300 sq. 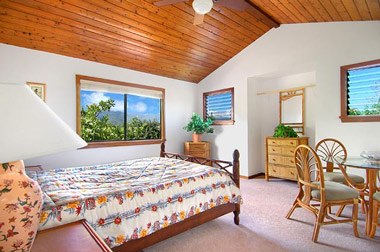 ft. house with beautiful mountain views, cathedral ceilings and plenty of room to spread out! 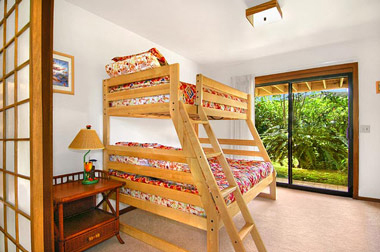 A very nice vacation rental in Princeville, Kauai is only a five minute drive to the beaches of Hanalei and a ten minute drive to the beaches of Haena. 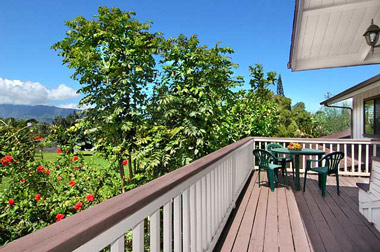 If golfing is your game the Prince and Makai golf courses are in Princeville. The Princeville stables are located nearby and offer the best horse riding experience on the island. 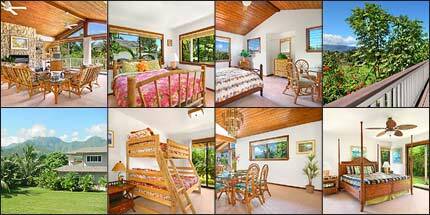 You are within walking distance to the Princeville shopping center which has a grocery store and restaurants. 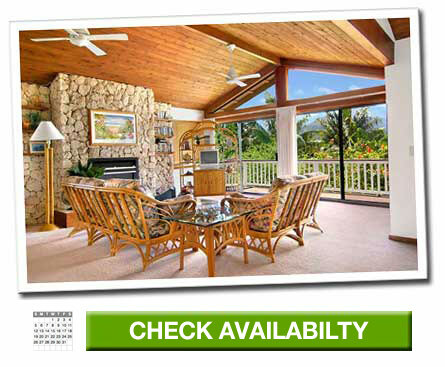 Copyright © 2019 Kauai Vacation Rentals – Kauai Hale Luana All Rights Reserved.